The money that every member of PAG-IBIG Fund is paying serves as a saving for the future. 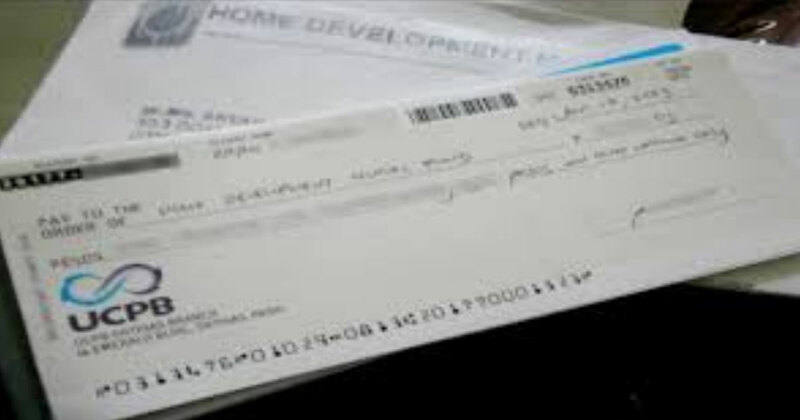 That’s why the organization assured to its members that they can withdraw their accumulated contributions including the counterpart contribution of the employer and the dividend earnings. 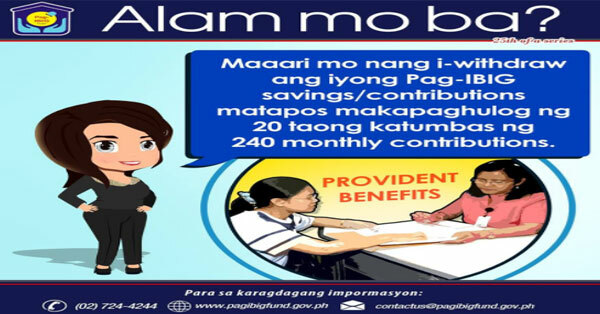 Upon registration with PAG-IBIG Fund, the member is informed about the required duration of paying the contribution. A member must pay a minimum of 240 months with the Fund. For Overseas Program members, they can withdraw their contributions depending on the option they were enrolled such as five (5), ten (10), fifteen (15), or twenty (20) years. If the member has retired from the GSIS, SSS or from other separate retirement/provident plan. The member must reach at least 45 years old. If the member has reached age 60. If the member dies, the benefits are divided among the legal heirs according to the New Civil code.